Still in love with the twinning fad? Score matching his-and-hers sleepwear at Nordlich’s online store. We’ve all seen the endless hashtags and memes about twinning with your BFF or significant other and, let’s be honest, wanted in on it too. And now, with Nordlich’s uber cool range of nightwear, we can do just that. 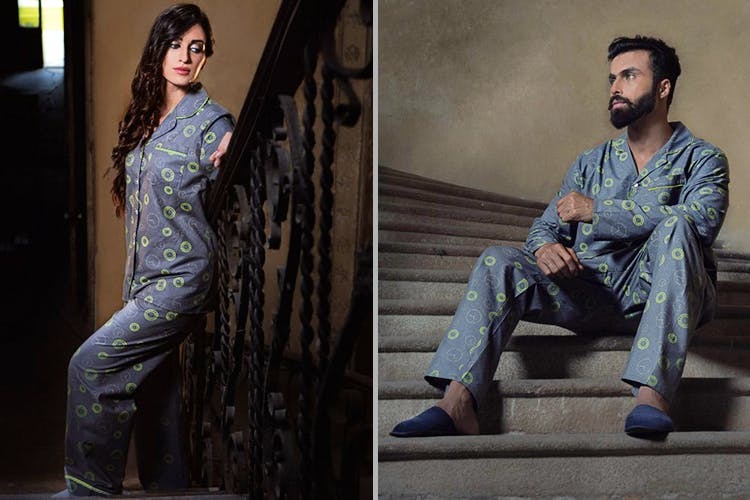 While they do have separate men’s and women’s pajama sets, we’re totally in love with their Couple’s Sleepwear. Alastair, anchor-and-helm, unicycle, compass, boat and way more different prints on button up night suits and shorts are some of the things you can expect to find. They also have matching tees in solid colours as well as traditional striped and checkered night sets. These also make for a really unique anniversary or wedding gift. So go ahead, #twin away!